The DMON sits in a weighted frame at the bottom of the ocean. 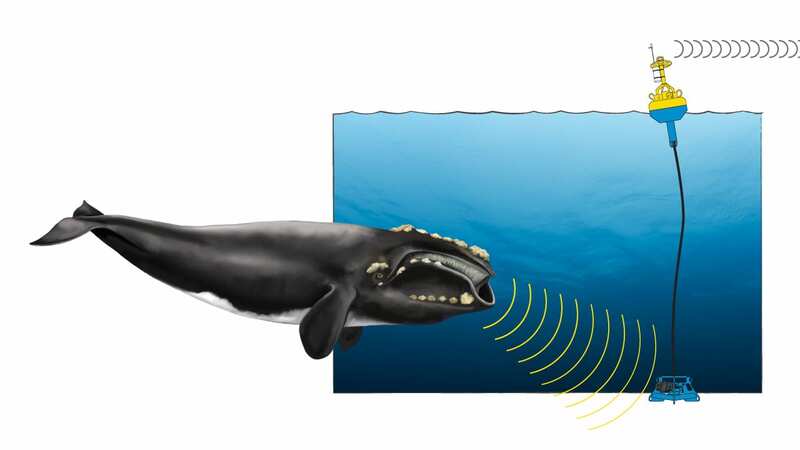 It is equipped with underwater microphones called hydrophones that listen for whale sounds. 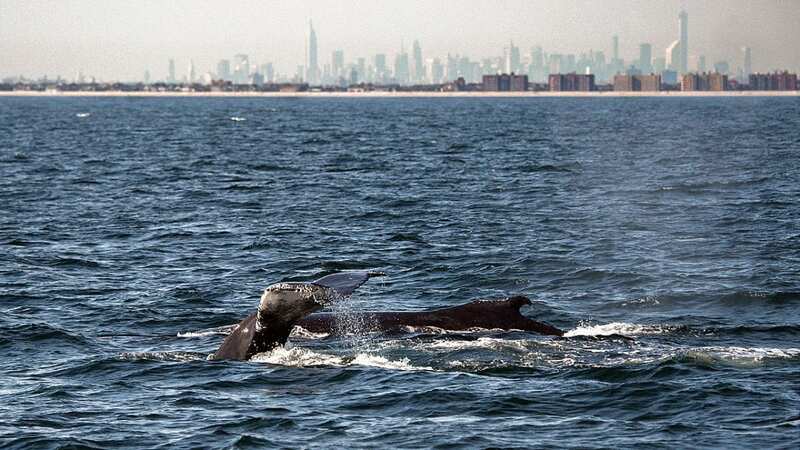 “When it hears them, it transmits information about those sounds through a stretchable hose up to a buoy on the surface,” Baumgartner said. 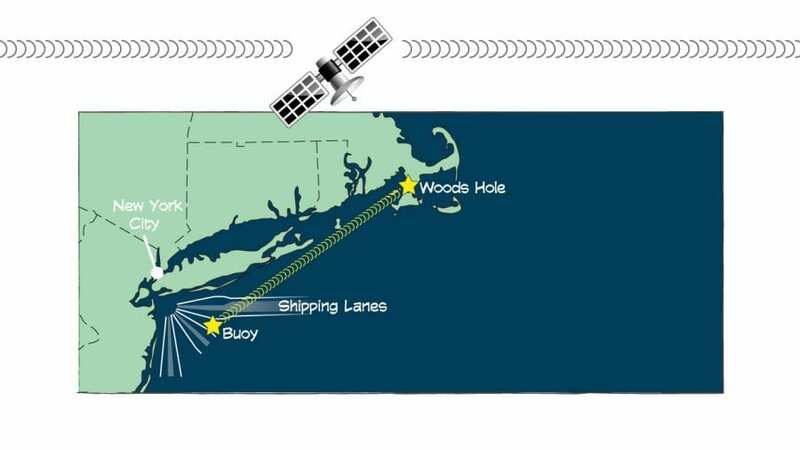 The signals are relayed to Baumgartner’s lab at WHOI and analyzed every day by Julianne Gurnee at the National Oceanic and Atmospheric Administration’s Northeast Fisheries Science Center (NOAA-NEFSC) in Woods Hole. Gurnee reviews the signals in much the same way as a musician reads sheet music, and she can determine what species are present by the structure and patterns of signals. 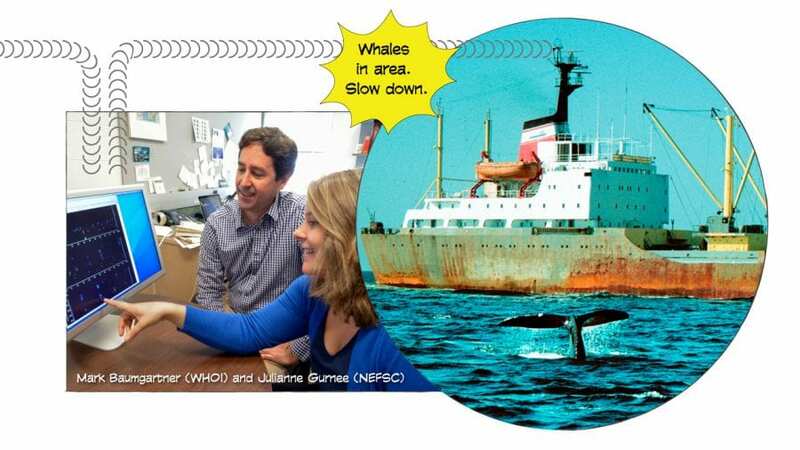 Baumgartner and WHOI engineers have also deployed DMON-equipped buoys off the Maine and Massachusetts coasts to eavesdrop on whales and learn more about their behavior. Baumgartner has also used DMONs on battery-powered autonomous gliders, which can travel over broad areas searching for and detecting whales. And in 2017, he will test DMONs on wave gliders, which use wave and solar energy to move.